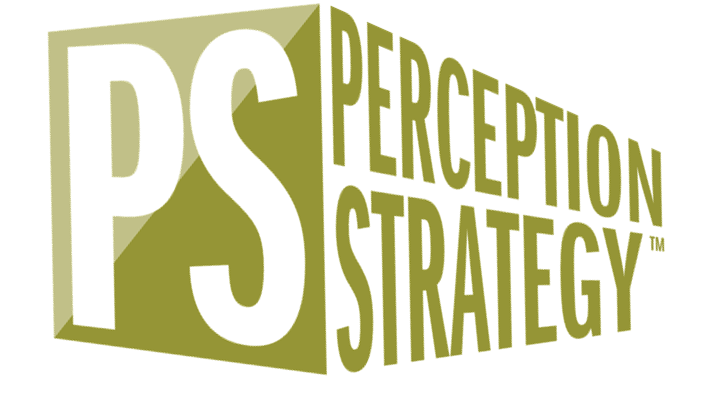 Perception Strategy is a brand management and customer experience consulting firm. We help business leaders uncover authentic customer value perceptions and use them to improve customer experiences. You get data-based insights that help you make better decisions on brand strategy, product development, technology, service delivery, and digital marketing. We help you become more customer centric, so you can plan with confidence and grow with certainty. WHY ARE YOUR BEST CUSTOMERS YOUR BEST CUSTOMERS? Know what your customers value most, so you can grow with certainty. MAKE BETTER DECISIONS WITH MORE CONFIDENCE. Ideas are unlimited. Choose the best few that contribute the most. Behavior, is at the heart of every great customer experience. We help you expedite employee adoption of customer centric behaviors, and link them to visible performance outcomes. Is your messaging consistent with what your customers value so you can grow faster? We love to see the people and organizations we serve thrive. You’re awash in data that tells you what your customers are doing, but do you know why they are doing it? We help leaders integrate what with why to ensure every impression point improves customer value perceptions. Do you know what motivates your staff to deliver great results? Behavior is at the heart of every customer interaction. We link behavior to measurable performance outcomes and help individuals understand the impact they have on your customers. Get more of your best customers. Contact us today for a free consultation. Let us help you clarify your message and turn your prospects into promoters. Let’s get started. What business or marketing challenge are you trying to solve?